Bas Bosschert, a security expert and CTO at DoubleThink, has revealed that WhatsApp for Android is open to prying eyes from any other application on the device. Bosschert has found that the malicious intrusion into WhatsApp messages is possible by the way these chats are stored and encrypted. This revelation comes right after the hours’ long disruption of WhatsApp services which quite tainted the flawless record of the short messaging service. WhatsApp is one of most used apps for text messages and has highest growth rate among all the tech firms. The short messaging app was acquired by Facebook in February for a crazy $19 billion. Since WhatsApp keeps your chat conversations stored on SD card, it is easy for any other app to access to chat message through SD card. As Bosschert has mentioned, it is not a major problem for any app to access SD card as users mostly allow these requests. Although WhatsApp has taken steps to encrypt conversations stored in SD card, Bosschert was able to get to those chats using a custom Python script. 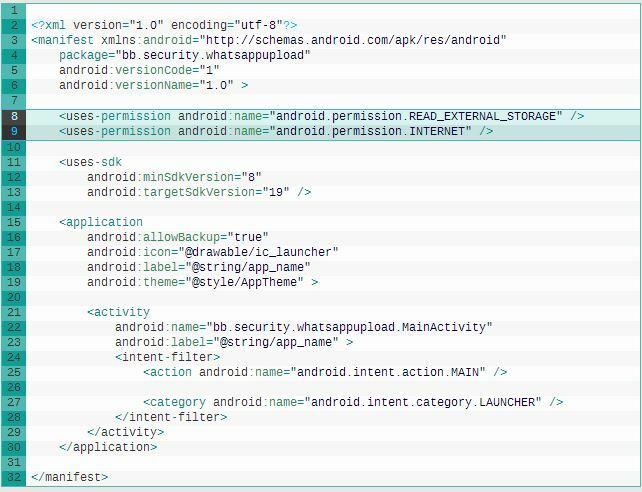 This WhatsApp Android security flaw has more to do with Android, as aforementioned, since open OS makes it easier for apps to get access to SD card data. However, WhatsApp can improve security by not storing conversations this way in the SD card. Let’s wait if the company alters the way it store and encrypts WhatsApp messages thus improving security or sends out any update for Android users.